You are here: Home / Blog / Products and Services / A SILVER BULLET IN MY RESURFACING ARSENAL! Under the wings of Hawk Research Labs LLC, Eager Beaver has an extended offer of products and services available! A SILVER BULLET IN MY RESURFACING ARSENAL! Hawk Research Laboratories, LLC is an American based company delivering the products for refinishers since 1978. It is a privilege to be among the first UK refinishing companies to use their line of products. In the next series of articles, I will be describing their high-quality coating systems and what benefits made me trust in their solutions. Their innovative solutions as the one below, deserve to be described in details. It’s another feature that put my service unique among the competitors in Britain. Silver has antibacterial and antimicrobial properties, and it has been used throughout the centuries to help with infections and in healing wounds. People used to eat, drink from and even consume a silver (colloidal) itself. 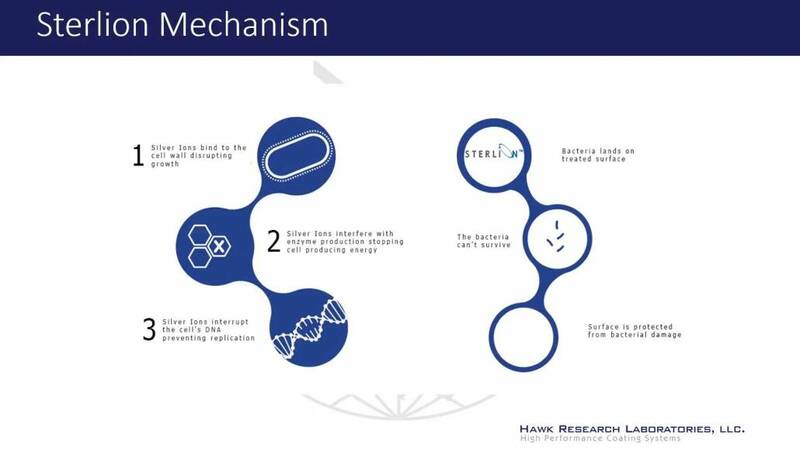 This precious metal is non-toxic, natural and free from bacteria. I am very proud to introduce this unique silver technology to my refinishing range. The antimicrobial silver protection can be added to ALL of my application range. The surface is protected from product damaging bacteria thanks to silver ions. 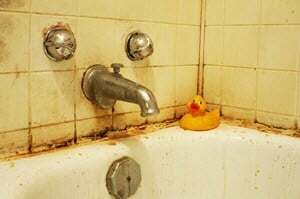 Wet household areas like the bathroom and kitchen are a friendly environment for microorganism grow. This unique feature of my bathtub or kitchen sinks resurfacing service shall be a strong attribute to consider. Mould, Mildew and other microorganisms can be a cause of discolouration, odours and have a negative impact on our health and wellbeing. Now it can be dealt at source – with Sterlion technology, any resurfacing jobs by Eager Beaver maintains sterile for longer! One of my recent jobs. Highest craftmanship standards, now improved by even better products! 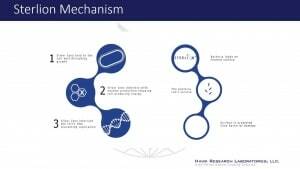 How do the silver ions kill bacteria? What microorganisms it is effective against? It protects the surface from a growth of unwanted microorganisms such as mold, mildew, fungus and bacteria. It is effective versus over 50 different organisms as Klebsiella pneumoniae, Legionella, Mehicilling Resistant Staphylococcus Aureus (MRSA) etc. Does it affect the human body? It is neutral to the human body and does not have any negative effect. No, it will not affect a colour of the top coat applied. 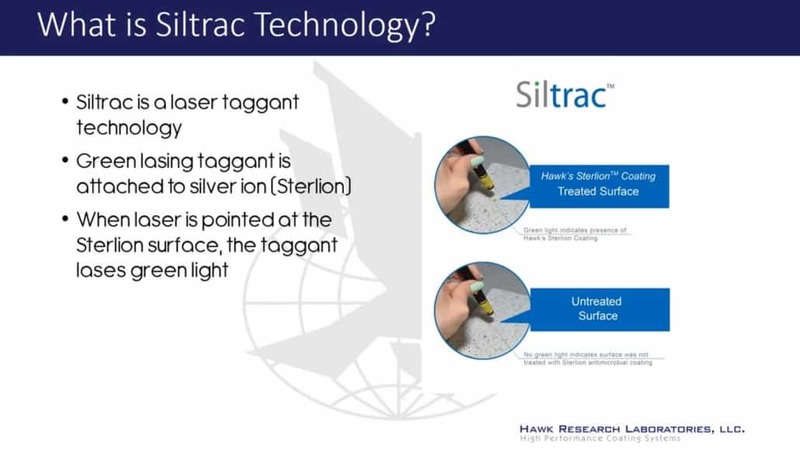 The presence of the silver technology can be detected with laser indicator but it’s not visible by bare eye. How long the silver ions stay active? It has only to be applied once and protection will remain active for the lifespan of a topcoat applied. 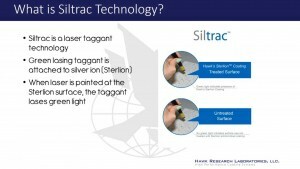 What surfaces can be protected with Sterlion? It is available for the surface of bathtubs, tiles, countertops, shower pans, floors, walls, sinks, cabinets, and many other. Virtually any hard surface that can be resurfaced has an ability to add a Sterlion silver protection. On-site bathtub enamelling – what it is not?